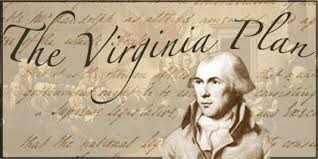 The Virginia Plan was created by James Madison in 1787. It was a proposal for a new form of government that called for the number of votes each state received in Congress to be based on population rather than each state receiving one vote. The reason why they made the plan was to protect the large states' interests in the new government. The Virginia Plan created, in comparison to the Articles of Confederation, an absolutely new form of government. The Virginia Plan was matched with the New Jersey Plan, which called for one vote per state regardless of population, since the smaller states were worried that they would not be a balance if the representation of the legislative branch was based on population. The Federalists were property owners, land rich and merchants and one of the most famous Federalists was James Madison.The Federalists did want to ratify the constitution because they thought there was a need for a stronger central government. They did not want the Articles because they thought that they are weak and ineffective. 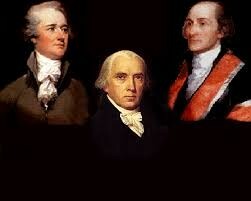 The Federalists felt that the seperating power between the three branches would keep on branch from becoming too powerful. They supported checks and balances between each of the branches. The Anti-Federalists were small famers,tradesmen, shopkeepers and laborers and one of the most famous Anti-Federalists was Thomas Jefferson.The Anti-Federalists did not want to ratify the constitution they mainly argued on these things. They felt it gave too much power to the national government at the expense of the state governments and that it did not have any protection for individual rights.. There was no Bill of rights and they felt that they needed one. 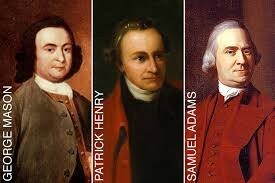 They thought the executive branch held too much power and become a monarchy government.